My laptop bag has traveled with me to work more than 2,500 days in the last six years. It’s been to just about every major metropolitan city in the United States from New York to Seattle, LA to Orlando. It’s held bottles and diapers, footballs and shin guards, MBA books and Southwest drink tickets. It’s been spilled on, kicked, thrown around, and dropped. I even found it soaked in my car the other day after my travel mug fell over and leaked coffee all over the inside. This bag has been my work wear companion during some of the craziest years of my life. Originating from Italian leather, my laptop bag was purchased when my six-year-old son was born, a rather foreseeable result of my random decision at the time to start an online handbag business while on maternity leave. I suppose my second child was such a dream that I had too much time on my hands. What?! Alas, I digress. Without going down that rabbit hole, let's just say that my bag and I found each other and somewhere along the way, I let our compatibility cloud my keen fashion eye. Six years later, this bag is “busted” and it wasn’t until a couple of my best friends casually asked, “Are you going to get a new laptop bag now that you’re a blogger?” that I took off my love goggles and realized that the time had come. See how my friends subtly broke the news to me that my laptop bag is "busted" in Episode 6 My Laptop Bag Intervention. You assume that the laptop bag that came with your Dell computer is fine to carry, because no one really notices that type of thing, right? Wrong. Give it away to some dude in your office. You bought a designer laptop bag years ago and assume that there’s not a lifespan on it. They do wear out and, by the way, when the random compliments from strangers stop happening in the airport, that’s a good sign that it’s time to move on. You don’t want to spend the money on a laptop bag! You’d rather buy shoes, or a new handbag, or or or. Just think about it, you will actually carry this every day and a nice bag will elevate your personal brand image. 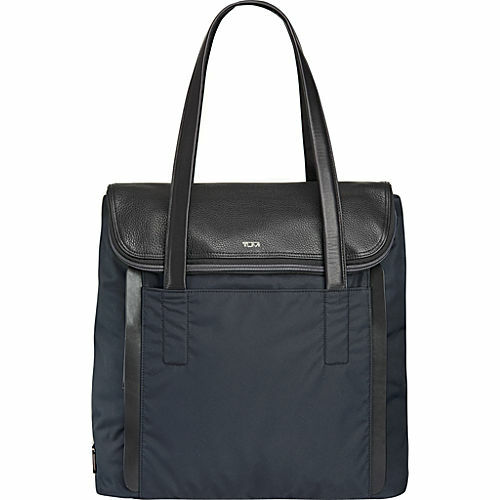 These days, our laptops themselves are traveling offices and the bags we carry are an extension of such office. We're making impressions with our style choices – whether intentional or not. Take the time necessary to make sure you’re wearing one that fits both your personality and position, and elevates your brand. Depending on your career and lifestyle, there’s a lot of different types of needs, but for simplicity sake, let’s break it down into three categories of women. You need a bag that looks professional, wears comfortably, has a lot of compartments, and can squeeze between equipment and gear and other small spaces. 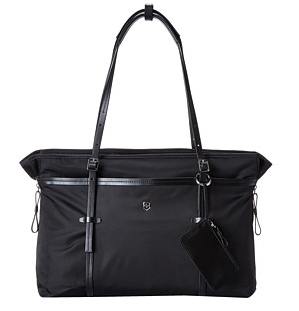 You want a standout bag that can hold up through a lot of travel. Some days you require classic styles to go with a suit or dress and other days you need a bag that can go with a business casual look. Some want wheels, others want a durable shoulder strap. Make sure there’s some room in it for the occasional shoes, snacks, and extras that come with travel. The only traveling you do is from home to work each day. You’re not asking for much, you just want to look like you’re trying. Which would you choose? Leave a comment below!